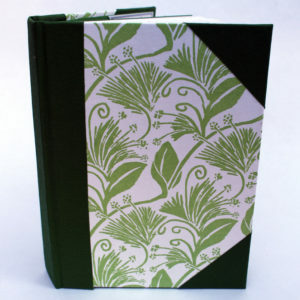 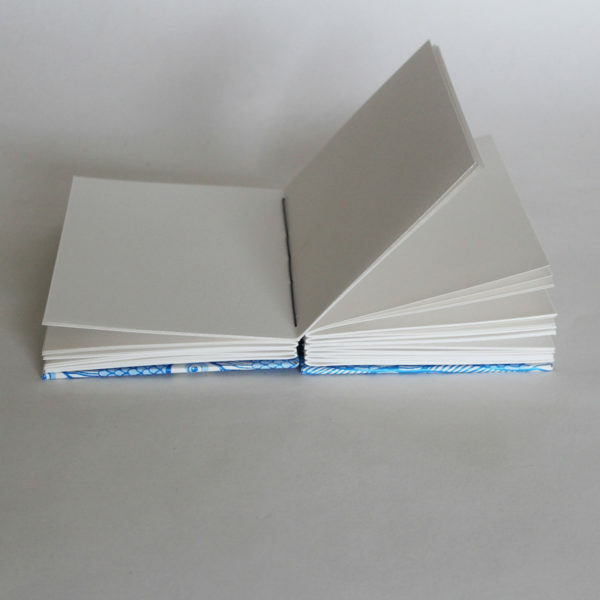 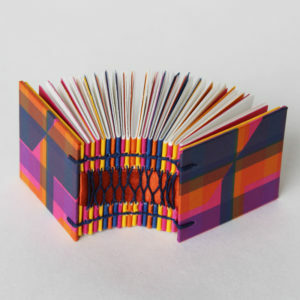 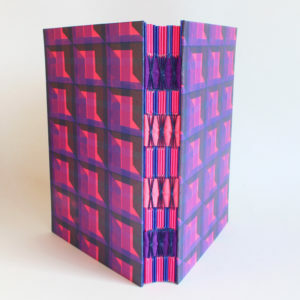 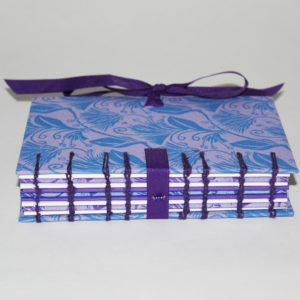 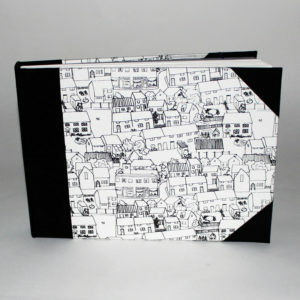 A6 notebook or journal with coptic bound spine. 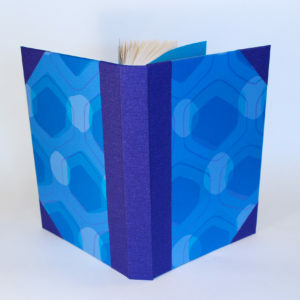 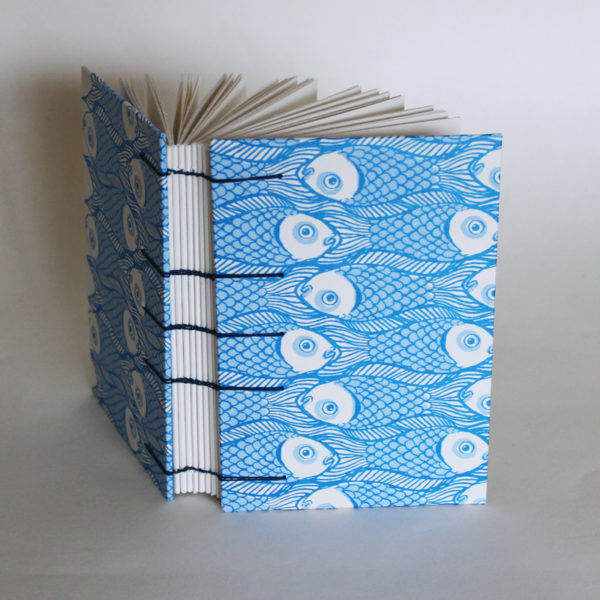 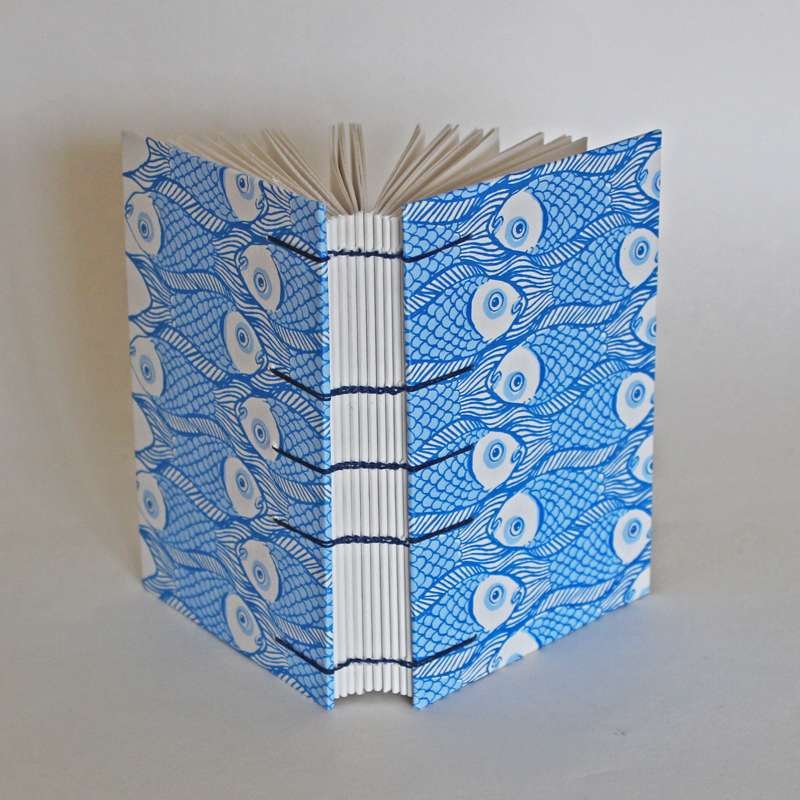 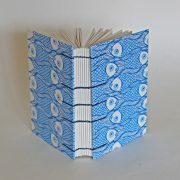 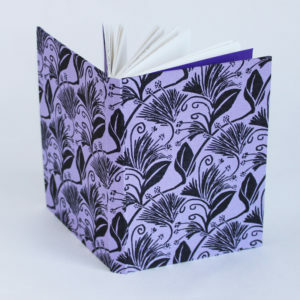 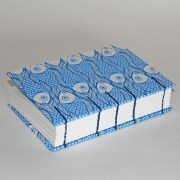 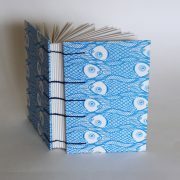 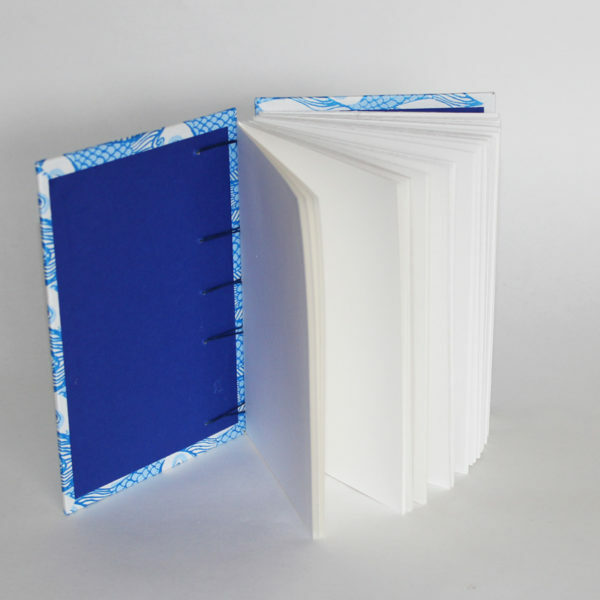 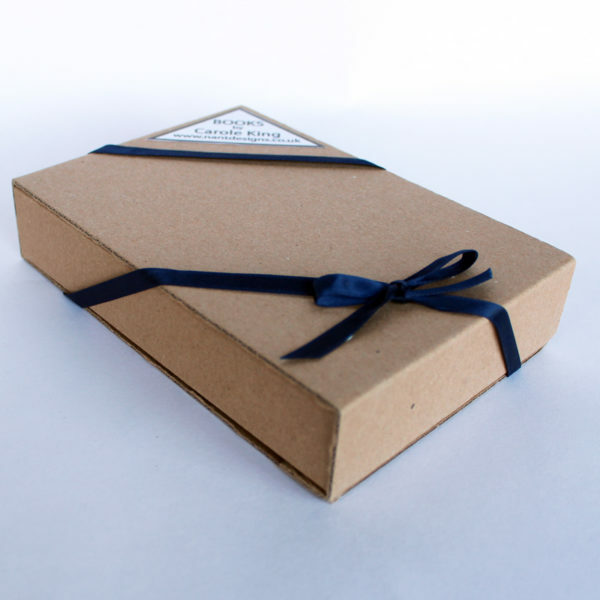 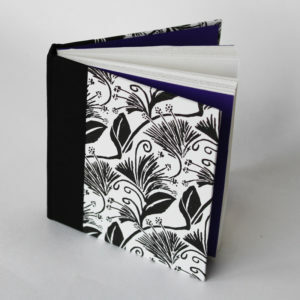 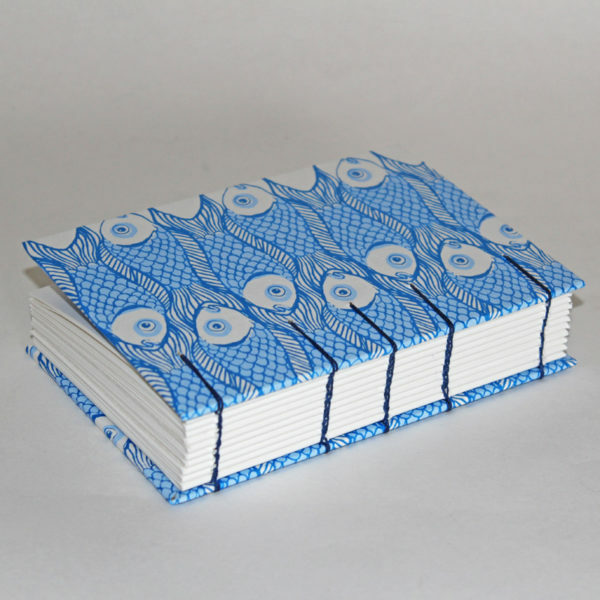 The covers are bound with handprinted papers in two shades of blue and are lined with dark blue. 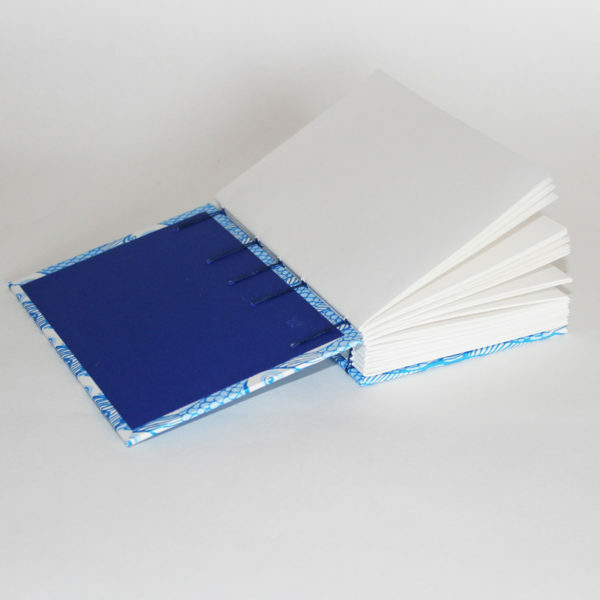 Pages are 140gsm, acid free white cartridge paper, which is suitable for all dry media- pens and pencil etc as well as light water coloured pen and wash. 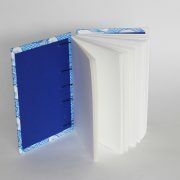 There are 80 pages- 160 usable surfaces. The book is bound together with matching dark blue thread in coptic binding which enable the book to lie flat on the table when open.